Euthanasia Prevention Coalition Euthanasia Prevention Coalition: Europe's top human rights court will hear case of a depressed Belgian woman who died by euthanasia. 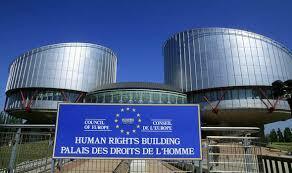 Europe's top human rights court will hear case of a depressed Belgian woman who died by euthanasia. 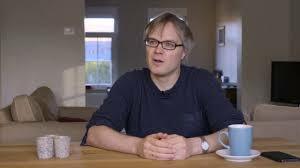 An Associated Press (AP) article by Maria Cheng is reporting that the European Court of Human Rights has agreed to hear a case that was filed by the son of a depressed Belgian woman who died by euthanasia. Depressed mother died by euthanasia in Belgian, her son challenges the law. Belguim euthanasia: Treatment for depression. The court said it would now consider whether Belgium had violated two parts of the European Convention on Human Rights in euthanizing Mortier’s mother. Mortier’s statement to the court alleges that Belgium failed to protect his mother’s life and that there was no thorough or effective investigation into her death. Mortier says neither Distelmans (who did the euthanasia) nor a psychiatrist he consulted to approve the life-ending procedure (also a close friend of Distelmans’) had a previous involvement with his mother’s health. In fact, De Troyer’s treating psychiatrist of more than 20 years refused to help her die, maintaining that she did not satisfy the requirements of Belgium law. At first Distelmans agreed, and he too declined to help De Troyer end her life. But after she made a donation of 2,500 euro to Life End Information Forum, an organization he co-founded, Distelmans carried out De Troyer’s request. Canada is debating extending its euthanasia law to include people with psychiatric conditions alone. This case and the case of the Belgian doctors who were charged in the death of an autistic woman will likely influence the Canadian law.